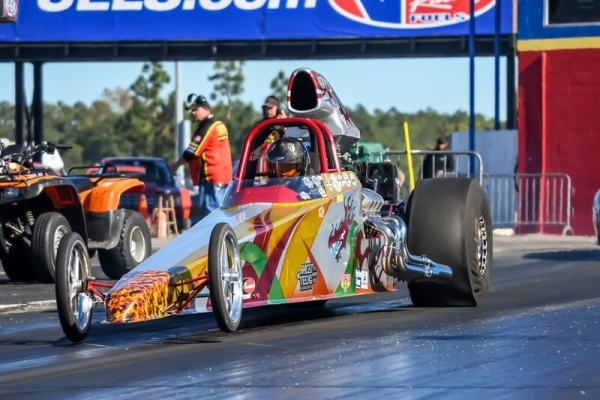 ROCKINGHAM — The Paschal brothers had him surrounded, but Lenoir’s Jake Woodring managed to overcome the odds Saturday and win the biggest share of the purse at the ATI Performance Products Top ET Challenge at Rockingham Dragway. 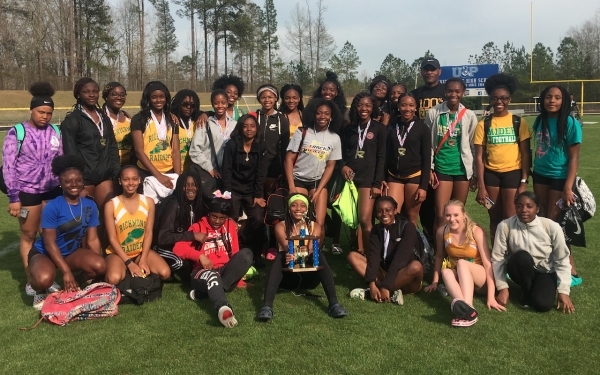 CAMERON, N.C. — Just days after the Lady Raider track and field team won its lone home meet of the season, head coach Reggie Miller’s squad hauled in a second-place finish in the Viking Relays at Union Pines High School. 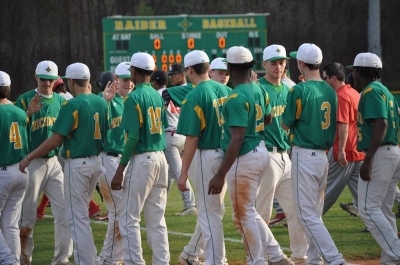 ROCKINGHAM — The Richmond Senior High School junior varsity baseball team wrapped up another three-game week, earning two more victories on the season. 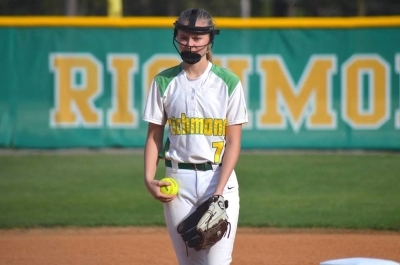 ROCKINGHAM — For the second week in a row, the junior varsity Lady Raider softball team split its series in Sandhills Athletic Conference play. 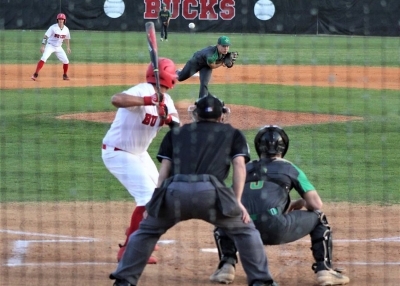 RAEFORD — On the one-year anniversary since former Raider pitcher Jonathan Lee threw a perfect game against Hoke County High School, current senior pitcher Tyler Bass had a successful night of his own on the mound Friday. 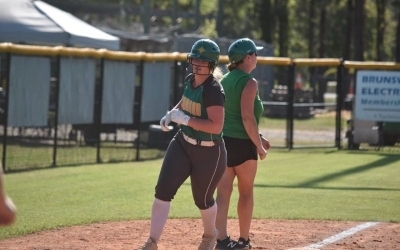 RAEFORD — A night after suffering their first loss of the season, head coach Wendy Wallace said her Lady Raiders were “eager” to get back out on the diamond. 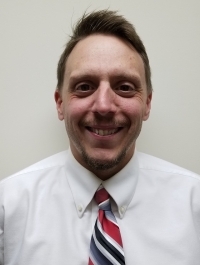 ROCKINGHAM — Lady Raider head soccer coach Chris Larsen stated ahead of Friday’s Sandhills Athletic Conference showdown with Purnell Swett High School that the Lady Rams would be “hungry” for a win following a loss to Richmond earlier this month. One hundred and sixty-two games. Six months. A romantic connection unlike any other. Baseball demands the most, yet gives back the most. 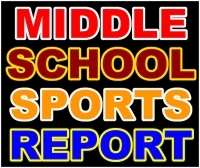 RICHMOND COUNTY — Several area middle school baseball and softball teams earned victories this week. RICHMOND COUNTY — The Ellerbe, Hamlet and Rockingham boys’ and girls’ soccer teams all went undefeated this week against Southeastern Middle School Athletic Conference competition. ROCKINGHAM — The wins keep stacking up for the Richmond Senior High School varsity girls’ soccer team, as the Lady Raiders earned their fifth consecutive victory Thursday. 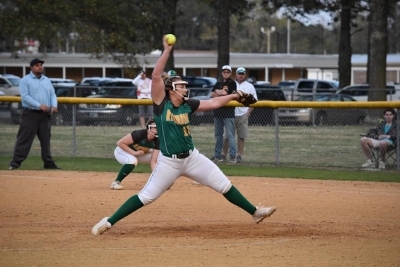 BENNETTSVILLE, S.C. — Lady Raider head softball coach Wendy Wallace took her team’s first loss of the season Thursday and called it a “learning experience” for later down the road. ROCKINGHAM — In action for the third straight afternoon, the Raider tennis team dropped its second match of the week Thursday to visiting Pinecrest High School. ROCKINGHAM — In action for their third Sandhills Athletic Conference meet of the spring, the Richmond boys’ and girls’ track and field teams impressed at home Wednesday afternoon.